I have slowly and gradually lost weight over the years with lifestyle changes and a real interest in nutrition generally and I am happy enough with the size I am (most of the time!) but what still bothers me is my fitness and in particular, my strength. I am well aware that as the scales have gone down my body fat percentage has risen which has made me that 'skinny fat' way that I am now ready to tackle. I have dabbled with weights and lifting in the past but like many I have not been approaching it properly and it has just left me not really committing to it or keeping any kind of routine, which is why this year I had decided it was time to find someone to help me out! I am looking to develop good form, establish a proper routine and set some goals to work towards. I have been looking to sort out some sessions with a personal trainer for such a long time so timing was pretty perfect when an offer of a little taster session with Andy of AG Fitness Training came in recently so I was quick to bite his hand off to say hello at the charing cross gym he is working from. 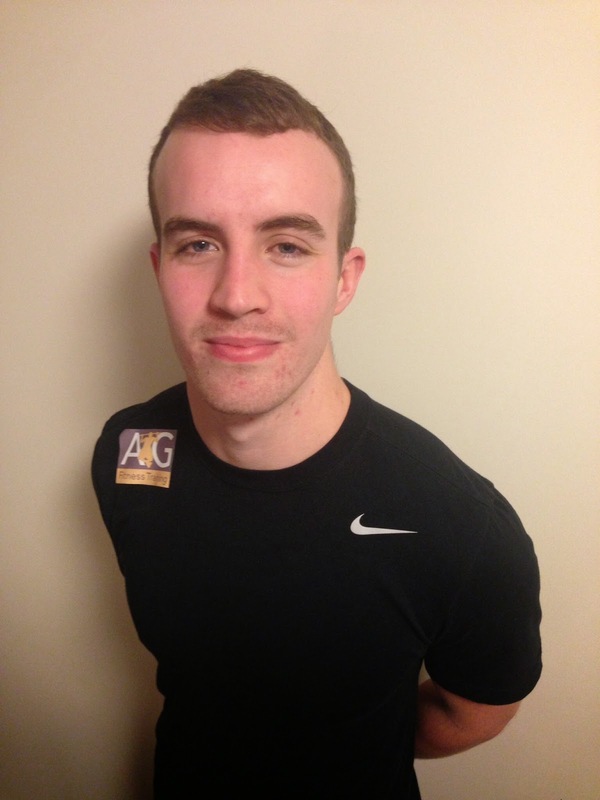 Specialising in muscle gain and fat loss, Andy has studied for three years to get himself thoroughly equipped to be an effective personal trainer. One thing I had noticed when I had started looking into local people to help me, was the massive variation in qualifications and for me I wanted someone who really knew their stuff. On top of this Andy has a huge interest in nutrition so is working towards qualifications in that area too so that he can give his clients a total package towards their health and fitness. Before our appointment I had taken a look at his blog on his site and was really impressed with some of his pieces on the nutrition aspect of training, It was this combination of interests that totally sold his services to me and I was really excited to hear more. Andy is a really lovely and approachable person who is truly committed to every aspect of his services and is constantly educating himself to improve his personal training. I think one of things that had put me off actually sorting myself out with a trainer (aside from costs) was that I actually find the ones I see in my usual gym as quite intimidating, and seeing as I can currently only lift a sizeable glass of wine in a decent number of reps, I didn't feel confident enough to approach one. Sitting down with Andy however took away all my concerns, he understands his clients from where they are now to what they want to achieve and he really listens. I set my other half up with a quick appointment with him too and he was delighted when he took into consideration the climbing he does and has taken time to research good exercises to work together on that will not only increase his general strength but improve his climbing too. Ally was so impressed with that he has signed up right away to start one of the AG fitness packages which is praise indeed from someone who likes to save his pennies for computer games and burgers! I am starting a six week package starting tonight so I will be back with a full review, and of course I might not be as nice once he has me working hard, but for now I can say I am actually excited to get going-which is not something you would usually hear me say when it comes to exercise so he must be doing something right! I will be back with a full review of the package when we are done but I know a lot of people on my social media have been chatting about this recently so I wanted to get this up now for anyone looking to get started. It is the perfect time to give it a go as Andy already offers really good prices for his training but if you mention the blog you can also enjoy a 15% discount which is amazing! Keep up to date with my progress on my twitter and instagram, and you can contact Andy direct on andy@agfitnesstraining.co.uk or chat to him on twitter.